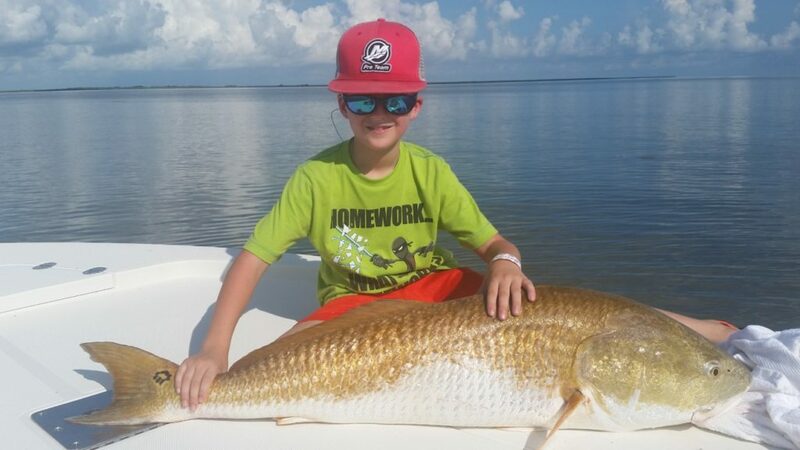 Who Says You Have to Wait Until Fall to Catch Monster Bull Redfish in Venice, Louisiana on fly or conventional tackle. 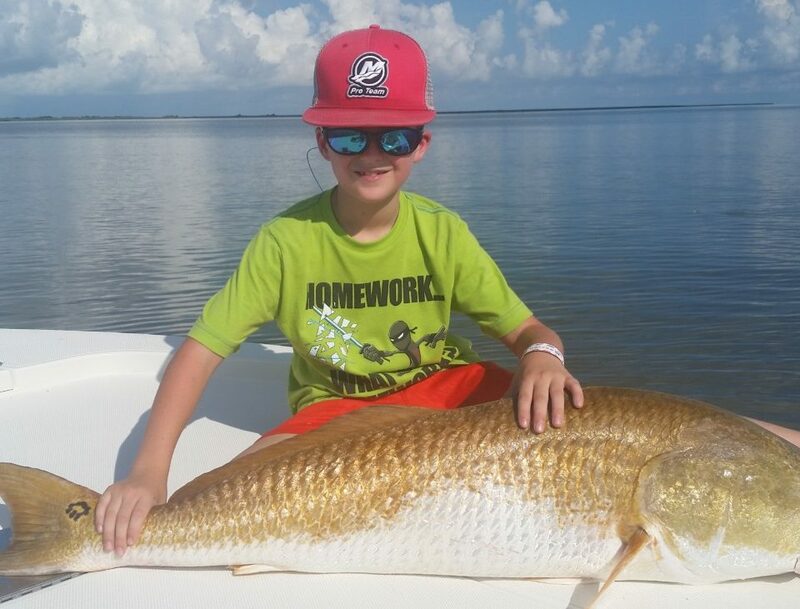 The Bull Redfishing in Venice, Louisiana and the Chandeleur Islands is on fire right now. 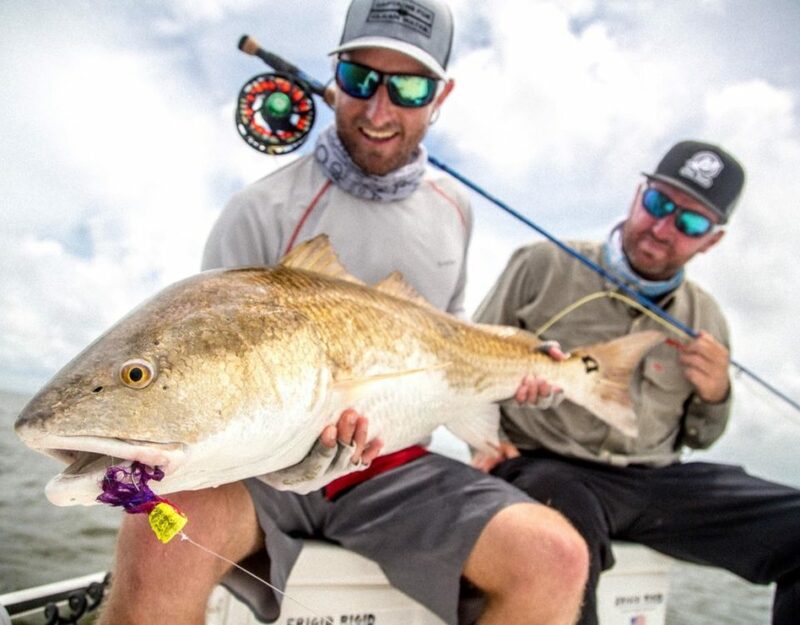 We are seeing big schools of 15 to 30 pound bull redfish make their way into the fringes of the marsh around Venice, Louisiana and the outer islands in the Biloxi Marsh and Chandeleur Islands. 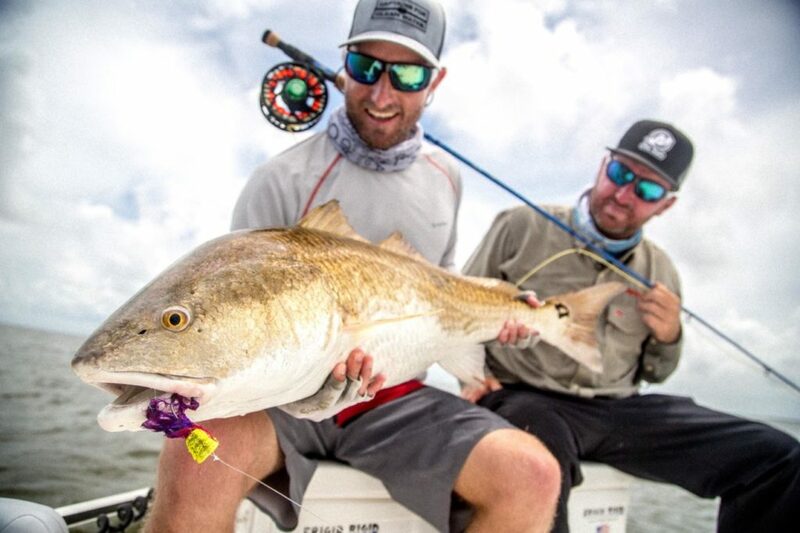 You don’t have to wait until October to enjoy this great fishery on fly or conventional tackle for catching monster bull redfish. We have caught two fish already pushing 40 pounds in July. One of these monsters was caught on a fly in two feet of water, while floating in a raft of pogies. This monster was caught on a Coyote Deceiver from Steelie Brothers Fly Company or www.steeliebrosflyco.com. The client was using a GLoomis NRX 9wt and a Sage 6200 reel. The other monster was 46.5 inches long and had a 27.5 inch girth was taken on Bass Assassin Big Boss Shiner Swimbait in a raft of mullett. The client was using a Twin Power Shimano 3000 spinning reel on a GLoomis NRX rod with 20 pound Maxcuatro braid. our fly pattern. Long fast strips have seemed to work best to entice the fish to chase the fly. 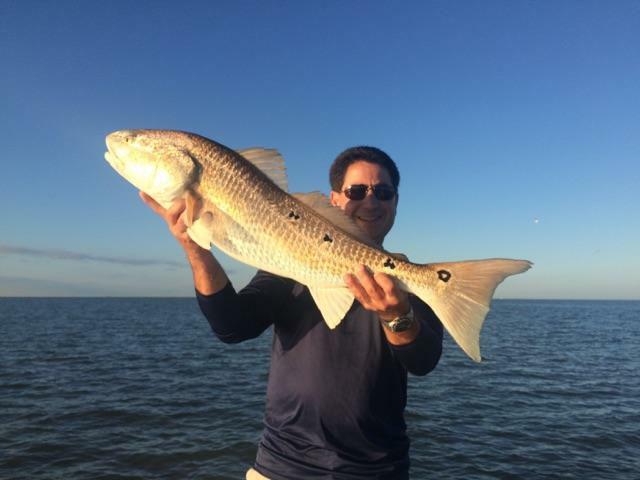 Louisiana fly fishing is about opportunities and timing. You might drift 400 yards in the mullett and nothing, but all of sudden a pod of bulls pop up and the next thing you know is your bowed up!!! 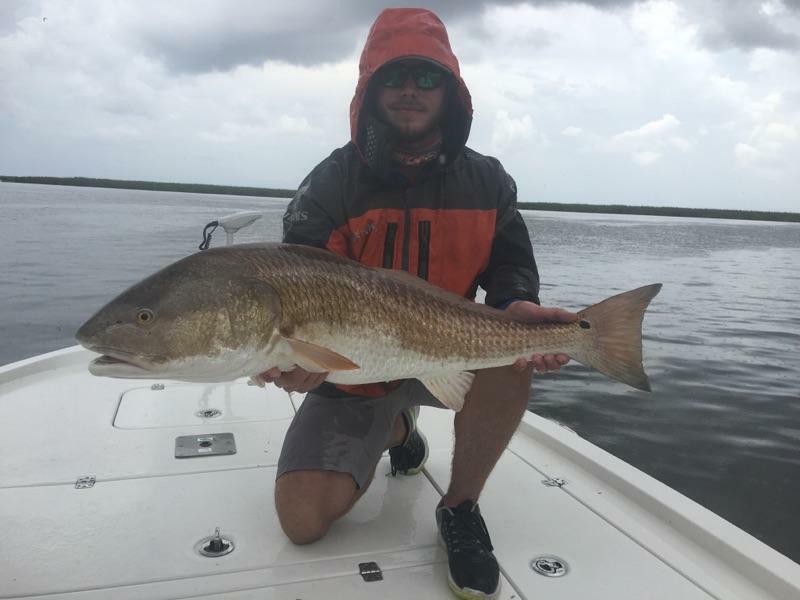 The Biloxi Marsh and Chandeleur Islands bull redfish seem to be on a different pattern right now from the Venice bull redfish. This pattern seems to be more of a shrimp, crab, storm minnows, and mullett. The Biloxi Marsh and the Chandeleur Island fish are going crazy on the low tide in the mornings. These fish are up tailing and allow a fly angler to have a great visual target to cast to at very close distances. These fish want the smallest and most natural looking flies possible. The angler is only getting one or two shots at the fish as they are on the move. We haven’t seen much popper action as of yet, but it is coming soon enough. Fish care is very important right now. Please handle these fish with respect to the fishery and them. They are old and are the future of our fishery. Don’t leave them out of the water on the deck of the boat, while you get ready to take pictures and do other things. Leave them in the water and pull them out when the camera person is ready to snap a few pictures and then straight back in the water for some TLC. Let them swim out of your hands for a perfect release.